In this update we reached out to Ubuntu Developer and juju Extraordinaire Clint Byrum for an interview and to see what he is working on in the 12.10 Release Cycle. Benjamin Kerensa: What are you doing this cycle when it comes to Development surrounding juju? 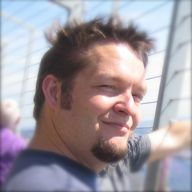 Clint Byrum: With juju’s rewrite in Go, we’ve slowed down the actual development of juju features, and are focused on documentation, quality, testing, and building out the charm store. We’re also hopeful that Go will achieve feature parity with the current Python based juju by the end of the cycle. I’m also working on getting juju into Debian and there is an effort to get juju packaged in Fedora as well. Benjamin Kerensa: How do you feel about the roadmap of juju and is there any interesting stuff coming up on the horizon? Clint Byrum: The Go port is keeping the feature list to a minimum. The most exciting thing is the rewrite in Go itself, as it should clean up a few areas of the code that were pretty difficult to understand. With more straight forward code, in theory we should see features and bug fixes landing faster. Benjamin Kerensa: Are you working on any pet projects you would like to share about? Clint Byrum: I’ve been really impressed with the interesting things contributed to the “juju-jitsu” project. Thats a place where experimental features and add-ons for juju are developed. If you’ve seen the “gource” demo where a tree of machines/services is built in OpenGL glory, that lives there. We also have clever tools in there to help integrate juju with things like Capistrano. Benjamin Kerensa: What tips do you have for those who are interested in contributing to juju? Clint Byrum: If you have ever thought that your web apps are too heavy weight, and should be spread out over more, smaller servers, then take a look at how juju charms work. I used to struggle with this as a sysadmin and web developer, and it shocked me how easy juju+ec2 made this. Thanks again to Clint Byrum for taking the time for this interview and for more information on juju please go here. Ubuntu 12.10 Development update Originally posted @OmgUbuntu.